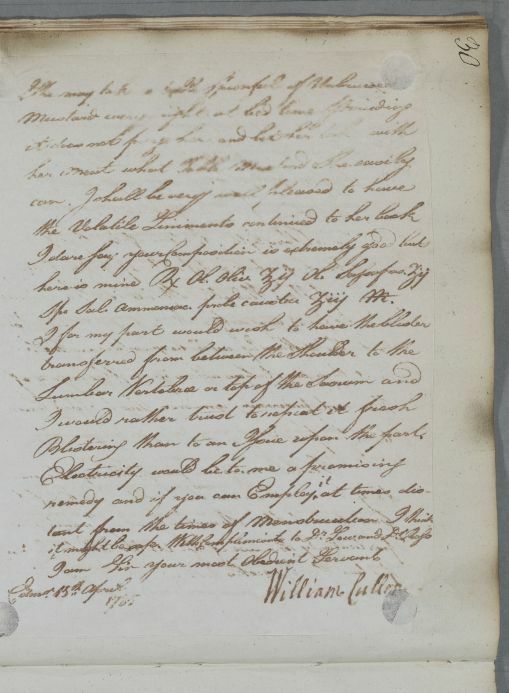 Letter concerning the case of Mrs Mitchell, Montrose. 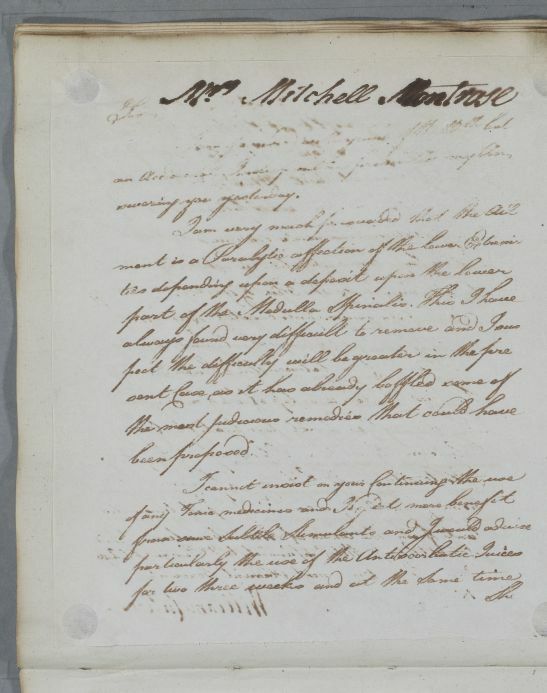 Summary Letter concerning the case of Mrs Mitchell, Montrose. Case of Mrs Mitchell who 'began to complain of great Weakness, Want of Appetite, Pain in the Head, with Weakness or Pain in the Region of the Loins', after giving birth.